We the Jewish Nation put the World on notice for the censorship we suffer under the oppression of The United States of America and The State of Israel. Jewish Liberation and Anti-Zionist Action is declared Worldwide. We The Jewish People are a People-Nation (Am-Goy) according to Rabbinic literature, a truth that Christianity tries to undermine as this in of itself undermines the Nation-State contradiction in favor of the People-Nation reality. The State of Israel was founded against the will of The Jewish Nation. The State of Israel is based on the ideology of Zionism and it is important to remember that just as Israel was founded against the will of the Jewish Nation, Zionism is a concept constantly forced on the Jewish Nation and long before Zionism harmed anyone. World Jewry spoke out against this despotic Ideology and the World ignored us, yet the World puts the blame on us in our time. #1. Not every Nation has a Country, indeed not every Nation even wants or needs a Country. #3. Territories are locational-Communities founded on mutual-Gathering. #4. Countries are locational-Communities founded on Sovereign-province. #5. States are Countries under the control of bureaucratic-ownership, State is the bureaucratic-Estate of a Country. #6. Nation-States are despotic fusions of Nation and State, Nation-state is bureaucratic-enslavement of a Nation. #7. 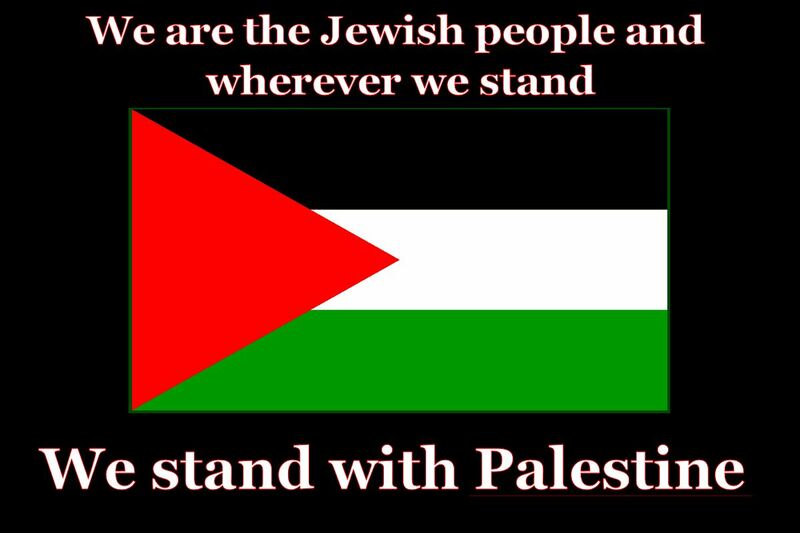 The Jewish Nation rejects any notion of a Jewish Country, more importantly World Jewry rejects any claims of a Jewish State, yet most importantly the Jewish Nation rejects any notion of a Jewish Nation-state especially any Nation-state taking the collective Name of Israel. Judaism is a Cultural-Religion not a tribal-Religion, although some sects maintain tribal-tenancies, Judaism is not tribal, this misconception comes from Christian supremacists and not World Jewry. This misconception of Judaism as a tribal-Religion is based on a misunderstanding of Jewish history and thus it depends now on We The Jewish People to explain our history to the descendants of those who have tried to erase it from Western memory. We the Jewish Nation are a Nation with many Ethnic components. The Jewish Nation has throughout history composed of many Ethnic groups that once included the twelve Palestinian-Israelite tribes, Babylonians, Persians, and Romans, as for as the twelve Palestinian-Israelite tribes, ten of these tribes went into captivity under Assyrian occupation, and the leading tribes of Judah would then be sent into captivity by Babylon. Many of the Babylonians converted to Judaism and embraced our culture and We kept the parts of Babylonian Culture that contributed to Judaism and rejected the parts of Babylonian Culture that contradicted Judaism. Conversion was never anything new to Judaism for indeed Ruth was a Moabite convert to Judaism long before the leading tribes of Judah went into captivity. Persia conquered Babylon thus inheriting the Jewish Nation, many Persians converted to Judaism, it would seem that both Judaism and Zoroastrianism influenced each other deeply and although both Religions may be reluctant to admit this, somethings are self evident no matter how much is denied. Judaism was even more defined because of the factors of Persian life that had become part of Judaism and of course the parts of Persian life that Judaism rejected because of contradictions. Persian converts gave Judaism great definition and many Jewish Persians are free and happy in Persia(Iran) today in spite of the propaganda of The United States of America and The State of Israel. With help from Persian royalty the leading tribes of Judah went back to the land from whence they had been expelled, and there they remained until Roman expulsion. Both before and after the destruction of the second Temple in Jerusalem and the expulsion of the Jewish People from Jerusalem, many of the Romans converted to Judaism. Americanism is the prelude to Zionism, We The Jewish People reject any Country calling itself Israel. Historically, the name of Israel has had the meaning of those who kept the Cultural-Religion of Abraham, Isaac, and Jacob and so we reject any Country taking upon this name, no one has the right to call themselves Israeli as far as we are concerned. We maintain the reality that a 'Nation' is a 'People of Assembly' and that not every 'People of Assembly' needs a Country and in the case of the 'Jewish Nation' this is inappropriate not only because of the many Ethnic components that make up the Jewish Nation, this is inappropriate given the flourishing Jewish Diaspora. There is no Zion in Zionism as Zionism is clearly another Crusade to take Jerusalem. However it is clear that there is much America in both Zionism and Americanism. The proto-Zionists refer to themselves as the Americanists, and they refer to themselves by this title very proudly, the Americanists generally manifest into two interlocking divisions, both of these divisions invent Messianic Jews for Jesus and other Judaized forms of Christianity, both of these divisions hold no respect for Judaism yet demand that Protestant Christianity is respected. The first division of Americanists are openly declaring that they can deport all Jewry in America to Israel if they don't become Christians, they create cults like Messianic Jews for Jesus and other Judaized forms of Christianity to cause harm to the Jewish Religion. The second division of Americanists are the Americanists who deflect all of the sins of America onto Israel, a good number of this division of Americanists openly attack World Jewry and Judaism yet many from this division of Americanists make the claim that they are only Anti-Zionist when in reality these Americanists are Judeophobic bigots who hate Jewry, one of the classic characteristics of this lot is their usage of the fictional Protocols of the learned elders of Zion a book with no credibility to it, these Americanists try to invent the anti-Zionist versions of Messianic Jews for Jesus and Judaized Christianity often placing blame of the Zionist ideology on the Talmud, they do this even though the Talmud has more passages that are seen as Jewish anti-Zionist source material than any other Jewish texts. We The Jewish People reject what these Americanists seek to do to us. We The Jewish People are not a racial or ethnic group, we have many ethnic components, Zionism in every form plays into the Protestant Christian idea of a Jewish race, this idea came from one of the worst men in history, Martin Luther and his ideas flourished mostly in America providing most of the very fuel for Americanism. The Americanists have stated that Mayflower and Plymouth Rock represent their birth, yet what America glorifies the most is Manifest Destiny and this is seen in the Wild West movies, this toxic propaganda has cultured Americans into Americanism and away from American Constitutionalism. Americans have had many chances to choose to be American Constitutionalists instead of Americanists, yet Americanism is both America's start as well as America's end, this is self evident when we observe that the Counterintelligence Program has never ended, no proof has ever been given that such activities ended, on the contrary most of the whistleblowers of COINTELPRO made statements that COINTELPRO was expanding the last that they had witnessed, organizing on Facebook and Google often goes wrong without explanation and with the revelations of Edward Snowden we know that surveillance has never been as subversive as now. As part of this notice let it be known that The State of Israel has no right to exist, and neither does the United States of America. Israelis should apply to the Palestinians for citizenship and this would be very good for a United Palestinian Federation to have a thicker federation of Peoples. All of Americans of European descent should have the right to return to Europe, and as far as any of the Americans who recognize the legitimacy of the indigenous-Natives especially those of Mexico, should apply to the indigenous-Natives for citizenship, this would seem to be the only moral answer to ensure the liberation of Québec from Canada. Canada should also apply to the indigenous-Natives for citizenship, if Canada does not want to be dismantled along with the United States of America. We The Jewish People serve notice to the Global Capitalists, the Fascists, the Christian supremacists, and all who would pollute the United Nations with the furthering of the dangerous belief in the Nation-state contradiction that seeks to hide the truth of the People-Nation reality. The Mexicans should never have to be deported from their own land, and likewise the Palestinians should never have to be deported from their own land. The solution to the problems seen with the Mexicans will only be solved with reparations for the Mexicans this includes a repossession of their land from European colonialists. 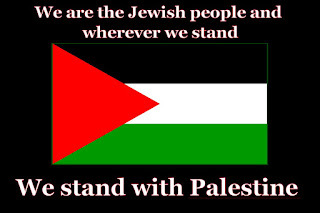 As for the Palestinians they must have their rights of return recognized and at the same time the Zionist right to return must be ended, many Israelis wish to move out of Israel yet cannot because they are too poor to leave, the capacity to move to another Country needs to be made more accessible to Israelis who do not want to live there anymore. This open Declaration of the Bundist Movement demands a restoration of the Jewish Labour Bund and the right to educate our own People no longer infringed. The Bundist Movement is non-religious not anti-religious and is thus open to both religious Jewry as well as nonobservant Jewry. The Bundist Movement is for the National Cultural autonomy of World Jewry and all other nomadic Nations who do not seek a centralized Country. Bundism is the political culture of the Jewish People, Zionism is not. The Jewish Nation has always been based on Culture and Religion, never race or ethnicity. The Bundist Movement puts Americanism and Zionism on notice. The Jewish Nation serves notice to both The United States of America and The State of Israel and these entities are not forgiven from benefiting from the Jewish Genocide widely known as the Holocaust. Uri Adiah, Hannah Toff, Isaiah P. Kamatstein, Marvin Eliyahu, & Miriam Emesberg.